During the seismic religious changes of the 16th and 17th centuries, atrocities were committed and martyrs were made. It has been 500 years since what is seen as the “start” of the Reformation, when the German monk Martin Luther nailed his 95 theses to the door of a church in Wittenberg, challenging practices in the late medieval Catholic Church and ushering in a schism that led to the rise of Protestantism across Europe. For the Lutheran and Catholic churches, the anniversary has been an occasion for attempts to bridge some of the divides of the Reformation, including a joint service between Pope Francis and the Lutheran Church in Sweden, and Pope Francis’s acknowledgement of the positive elements of Luther’s teachings. On January 17, the Archbishops of Canterbury and York released a statement expressing regret for the divisions of the Reformation. During the seismic religious changes of the 16th and 17th centuries, atrocities were committed and martyrs were made. Episodes of violence had a profound impact on those who lived through them, and those who discussed, read about or have remembered them since. Here are five episodes of violence that shaped how Europeans saw themselves for centuries after. Martin Luther’s search for a purer form of Christianity could appeal to different groups for different reasons. His doctrine of the priesthood of all believers, stressing the spiritual equality of all men in the eyes of God, was particularly powerful for those at the bottom of the hierarchy. The attempts by peasants in the Holy Roman Empire to realise the Gospel message – a message which to them promised social as well as spiritual equality – led to one of the largest popular rebellions in early modern Europe, with rebel armies made up of as many as 40,000 in some areas. The violent actions of the peasants were met with violent condemnation by Luther in print, while harsh suppression by the authorities meant that tens of thousands lost their lives in the rebellion’s aftermath. Just a decade after the Peasants War, the spectre of Reformation-inspired anarchy returned to the Holy Roman Empire. In Münster, a group of radical Anabaptists took control of the city and established a spiritual government. Its challenge to the religious and political status quo was considered immediate and grave: the practice of polygamy within the community was viewed as just one manifestation of all that was at threat. 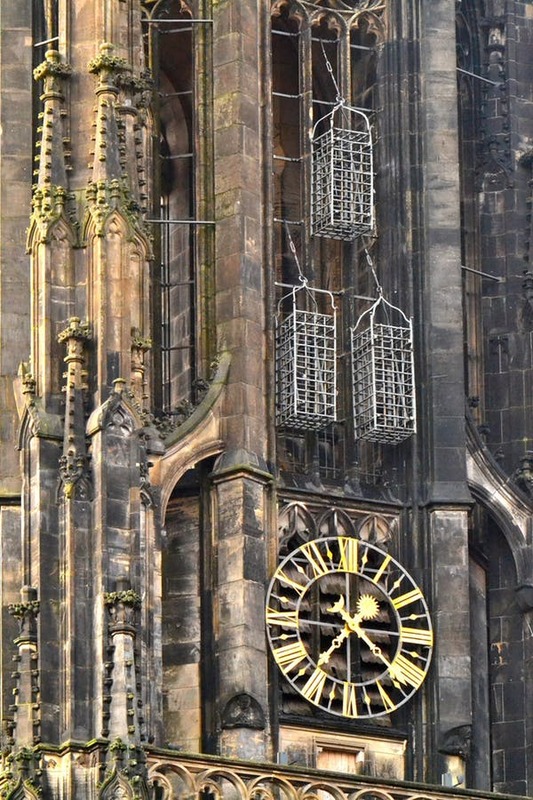 When the new government began to collapse, the Catholic authorities moved in: the leading Anabaptists were put to the sword, their body parts placed in cages on the outside of the cathedral. For contemporaries, Münster and its bloody end was an argument for obedience to the secular and religious authorities. It also resulted in an enduring suspicion towards religious radicals: while not all Anabaptists embraced violent revolution, they became the target of hostility across Europe. This massacre was perhaps the most notorious episode of religious violence of the Reformation era. 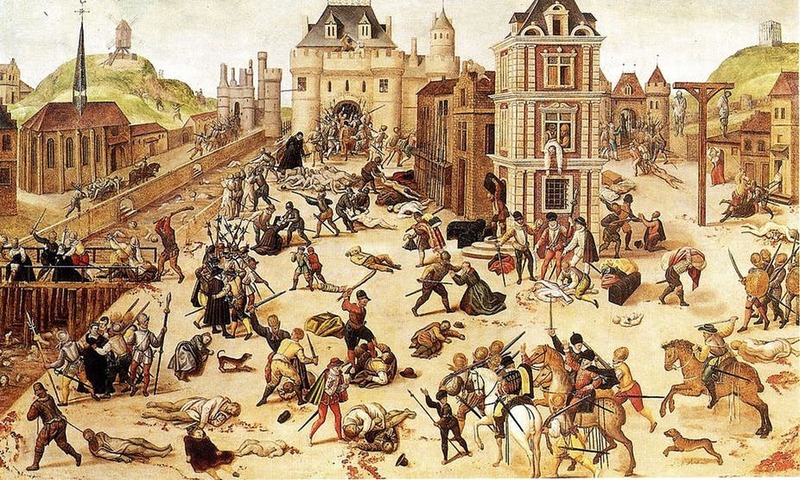 On August 24, 1572, in the midst of celebrations of a marriage between a Catholic princess and a Protestant king, at least 2,000 French Protestants were murdered on the streets of Paris. The news of events in Paris also sparked massacres in other French cities. While the direct role of the French monarchy in the massacre, and the exact numbers killed, remain sources of debate, the “popular” element of the violence was striking: victims were often known to perpetrators. Catholic powers praised the killings, and the French Protestant cause saw a wave of exile and conversions. This war, or series of wars, is sometimes remembered as the last of the wars of religion. Some of its origins lay with tensions over the religious settlement offered in the Peace of Augsburg (1555), which allowed for Lutheran and Catholic territories within the Holy Roman Empire. A Protestant revolt against Catholic Habsburg rule in Bohemia spiralled into a conflict in which all the major powers of Europe became involved. Parts of the German-speaking lands were utterly decimated – some areas lost between a quarter and a half of their population. The episodes of violence associated with both Protestant and Catholic troops in the war were legendary, and stories spread across Europe. As the historian Nicholas Terpstra recently argued, the Reformation-era drive for purity was turned not only against rival Christian denominations, but also against non-Christian populations. In this light, the victory claimed in 1492 by Queen Isabella and King Ferdinand, rulers of Castille and Aragon, over the Muslim populations of the Iberian peninsula with the fall of the Kingdom of Granada, is a more appropriate starting point to the Reformation than Luther’s actions in Wittenberg. The “reconversion” of Spain to Christianity, and the expulsion of the Jewish and Muslim populations of the peninsula were hugely significant acts of symbolic and practical violence. And, beyond both 1492 and 1517, as Spain and other European nations acquired overseas empires, they also began to convert and subdue non-European peoples, sometimes with great violence. Originally published by The Conversation, 01.20.2017, under the terms of a Creative Commons Attribution/No derivatives license. This entry was posted in Uncategorized and tagged Catholic, History, Protestant, Reformation, Religion. Bookmark the permalink.